Paris Le Bourget from 17 to 20 September 2018. 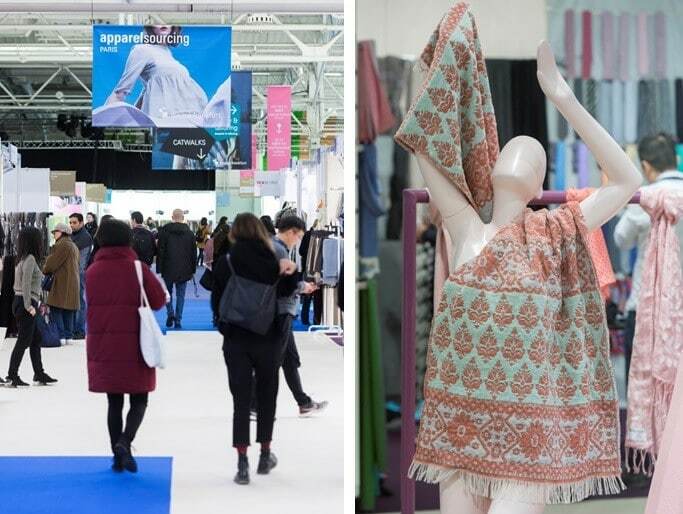 With over 80% of visitors coming from outside France, these shows remain all-important for the global fashion industries. There are no longer regional blocks for each continent that predominate. We observed a variation in visitor numbers according to country to different degrees, however not very noteworthy overall except in the case of France, which is always a fan of the concept adopted at Messe Frankfurt’s Paris shows, with an increase of 11%, Italy up 5%, Russia 7%, Switzerland 16% and generally strong for Eastern Europe and Scandinavia. As for America, although the United States remains top with stable figures, Canada scored high with an increase of 7%, Argentina was up by 8% and finally Colombia up by 5%. The economic and political situation in Brazil was reflected in a 24% downturn in visitor numbers, although Brazilian buyers were still in second place for the American continent. Where Africa was concerned, we noted healthy results for the countries that supply Europe with Tunisia up by 11% and Mauritius by 8%. As for Asia Pacific, Australia is on a steady course with an increase of 2%.